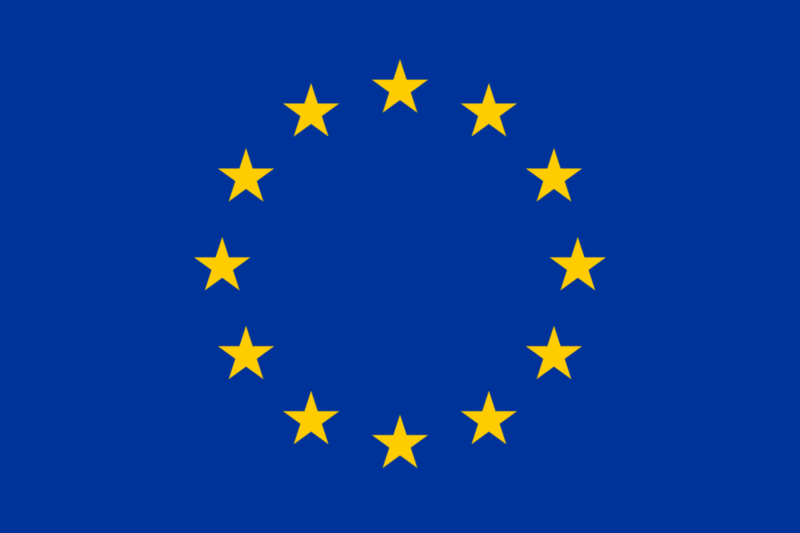 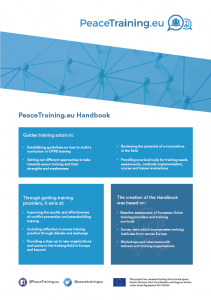 PeaceTraining.eu provides a comprehensive assessment of good practices, efforts as well as capabilities of the EU in conflict prevention and peace building (CPPB) education and training. 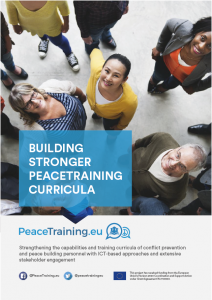 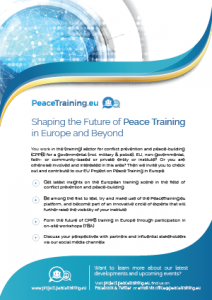 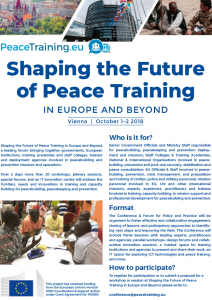 PeaceTraining.eu provides a comprehensive assessment of good practices, efforts as well as capabilities of the EU in conflict prevention and peace building (CPPB) education and training in order to formulate new multidimensional curricula and to make more effective use of training methods. 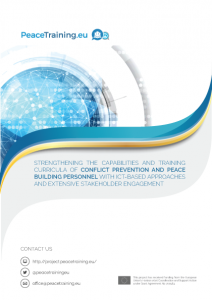 In detail, the project will aggregate a comprehensive collection on the state-of-the-art in CPPB training and will involve stakeholders in all project phases.